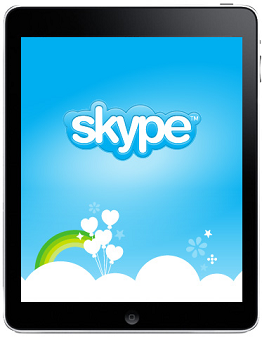 Set Up The iPhone From The iPad Via Skype..
Do you remember not too long ago when I got my First Apple Product? And then my beautiful brilliant daughter who convinced me to get involved with the apple had a meeting and limited time. No problem.. Erica asked me to Skype her and from my iPad she walked me right through the set up. This is really exciting. Now to find some time to play in between showings, listings, sales and settlements. Set Up The iPhone From The iPad Via Skype...Better go check what's going on in the iPad group. Another HomeRome Listing SOLD! 8820 Greens Lane 21133. Listed July 13th, under contract August 23rd and settled October 28th.. This beautiful stone rancher located at 8820 Greens Lane was a 5 Bedroom 3 full bath rancher in the Fieldstone Area of Randallstown, Maryland 21133. It has sold and settled! This home was built to last. Four bedrooms on the first level with a sunken living room, formal dining room and a wonderful country kitchen that overlooks the level back yard. I wrote about this special property some time ago and realized how time flies. 8820 Greens Lane....a very pretty stone rancher. That's what you serve at a Baltimore HomeRome Party in Baltimore! Trays of sandwiches with an assortment of turkey, corned beef, rare roast beef ....the other tray with salads... tuna, egg and whitefish. Thanks Suburban House and Lidia for your special attention making the food look so pretty. Everything was delicious. And we enjoyed this special gift from Joe and Mark...a lovely tray of coddies! That's what you serve at a HomeRome Party! How convenient, one phone call and the most delicious cupcakes are delivered in a beautiful gift wrapped container. Since it is the end of October, Debbie created a Halloween theme. Each delicacy was individually decorated with a colorful icing , various sprinkles and confections... some with leaves, some with pumpkins, some with smiling ghosts, some with tiny alphabet letters and some even said "BOO"! Debbie Does Cupcakes in Baltimore! Margaret Rome Holds Another Successful AR Open House in Baltimore! We had a fabulous ActiveRain Open House and Bridget captured it with style. Check out the video below which really shows off this wonderful home. Thanks to everyone who participated, showed up in person and in spirit. This huge semi-attached home with a fully finished basement is in a condo community so you'll have no outside maintenance! 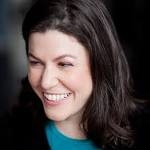 The effervescent realtor Rosa Almond, now with Long and Foster always has a smile on her face! She even brought a group from her new office. Here she is with Margaret and her broker Guy. What a sharp looking group! Good Luck reigning in all Rosa's energy Guy! It was wonderful to meet Alphonso from Keller Williams. He is on the education team and it sounds like he is doing a fabulous job making sure those agents are up to date on all things Real Estate! I hope that we will be able to work together soon. He is a sharp cookie! We Had An Open House Party and Look Who Came. It was a colorful fall day, in Baltimore, with a bit of liquid sunshine. 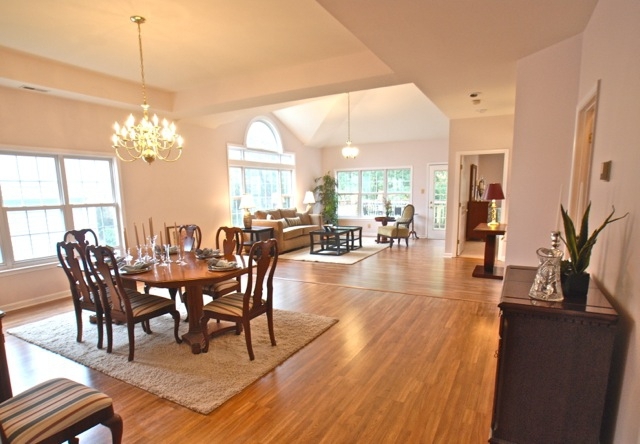 That did not stop the brightness inside this gorgeous Weston home at 9913 Middle Mill Drive Owings Mills, MD. 21117. Each person who walked in was impressed... with the size, the lay out, the creative use of space, the two car garage, the luxury master bedroom suite, the one floor convenience, the man cave area and the perfect kitchen where everyone wanted to congregate. Lucky that this gourmet space holds a crowd. We had a wonderful turnout! Not bad for rainy 'humpday' at lunch time. So Who came? Margaret Rome Holds Another Successful AR Open House! ActiveRainers came, neighbors came, other agents came, real estate professionals came and most important friends came. This is the way to showcase a special home. Open the house on the MLS, on our sites, on our emails, but also open it with a personal phone call and invitation. Yes it does work. You can call it an open house, you can call it a broker's open, you can call it a gathering or you can call it an ActiveRain Party! One of these special people might have the right buyer for this perfect home. A Picture is Worth A Thousand Words! And Abe Knows it! 'Thanks for the signed book Margaret! I'm on Chapter 5 and it's wonderful. And so was meeting you on ActiveRain." 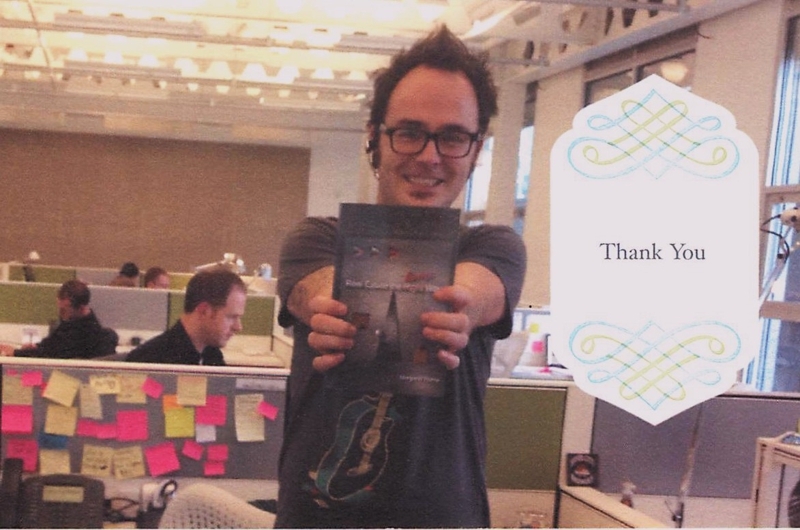 There are many ways to say 'thank you; including The Power of A Thank You Note! Elevator Speech Is Only Three Seconds! My Elevator Speech is Only Three Seconds! You know how it goes. You are at a networking event or business association meeting, and it's that time when everyone gets to introduce themselves. The leader says, "Give us your name, company, and a little about what you do…but please keep it short!" Around the room, people get up....some drone on and on, others barely whisper their name and still others stammer through an almost inaudible description. When my turn comes, I say it in three seconds flat and sit down while they are still laughing and applauding. 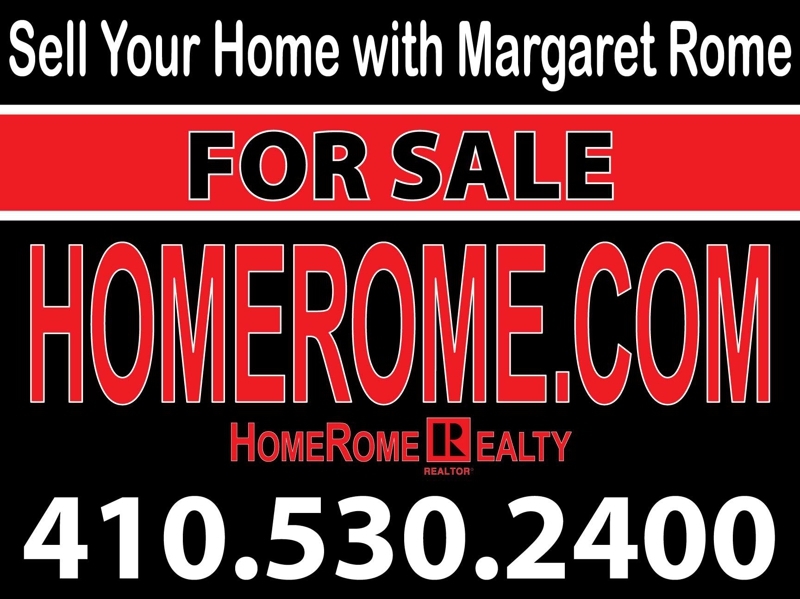 "Margaret Rome.... Sell Your Home With Margaret Rome. 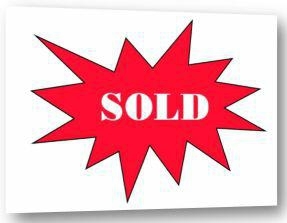 In the beginning it was "Market Your Home with Margaret Rome" but I quickly learned..no one wants their home marketed...they want it SOLD! My elevator speech, my tag line, my print ads, my website, my business cards, my blog header and my signs... all say the same...Sell Your Home With Margaret Rome ! When one ActiveRain member lists another ActiveRainer's property...that calls for an ActiveRain Party! By now you know that I have Pat Kennedy's mother's home for sale in Baltimore. I have known Pat through ActiveRain for many years. When it was time to sell the home where her late mother lived...Pat called me to list this beautiful home. And it is the perfect place to entertain and that is what we will do... have a party at 9913 Middle Mill Drive Owings Mills, MD. 21117. When one ActiveRain member lists another ActiveRainer's property...that calls for another ActiveRain Party. What do you think? Will you join us? Pat and I will be there along with Chip Frye, Bridget McGee, Ellie McIntire, maybe June, Rosa Almond and Steve Cooper...all ActiveRain members. Listen up everyone...Tomorrow is the day .... Wednesday October 26 1:00! We are having an ActiveRain Gathering and a HomeRome style OPEN HOUSE. Please join us? There are going to be some special people attending. Look for follow up posts or attend and write your own! HomeRome Style Party..Meet Up ...This Wednesday 10/26 at One O'clock .Please Join Us! We are having an ActiveRain Party on Wednesday October 26! Please Join Us at One O'clock. 9913 Middle Mill Drive Owings Mills, MD. 21117. 9913 Middle Mill Rd will be on the right. Please RSVP in the comments. Fall Season of Miracles...An accident was the beginning of a real estate career! Being a 'stay at home mom' I took up my second career..that of a ceramic and porcelain artist. There was a full studio in my home where I designed pottery for clients, The Design Center in DC, the Symphony Decorator's Show House, plus doing window displays for fine jewelry stores. My porcelains were used to drape the strands of gold, diamonds and pearls over the art pieces. I even made closing gifts for some of the real estate agents. Then there was the accident...rear ended while driving and suffered neck and back issues...told I needed surgery. Since no one could guarantee the use of my hands...I decided against it. They advised me not to lift more than five pounds. You must be kidding! My box of clay weighed 50 pounds..no more ceramics for awhile. During this time I get a call from a former RN asking if I wanted to sell my house? I asked: why the interest and found out she was now a Realtor®. That very same week, I signed up and took a Real Estate course to "tide" me over until I could get back to the clay which I loved. That was in 1990 and many of my former patients, their families and owners of my artwork became my real estate clients. I love walking into a home and finding one of my custom pieces out on display. I love being able to use my nursing background especially the psychology that is needed for the stress of moving. I love being able to incorporate my nursing, my ceramic art and my love of real estate into my wonderful life! A Patio Home In Baltimore! 9913 Middle Mill Drive 21117 located in the private gated Weston community! A Patio Home in Baltimore! These perfect homes are sometimes referred to as Patio Homes, Courtyard Homes, Zero Lot Line Homes, Garden Villas or Single Family Ranchers. They are frequently in gated condominium communities which means the exterior maintenance, the grass cutting, leaf raking and snow removal are all taken care of in the monthly condo fee! There are no common walls... providing all the benefits of a free standing single family home...but with the added perks of carefree condo living! Not everyone wants to live in the vacation states. Many want to remain in the Baltimore area for various reasons including jobs, family obligations, life long friendships and the big draw of grandchildren! People that have retired or have winter homes are now returning to Maryland. But where do they live.? Where can they find a home that suits their needs? All of their needs...spacious homes that can be forever homes with no age restrictions. No longer do you have to travel to the 'sunshine' states to have this fabulous style of living. 9913 Middle Mill Drive 21117 located in the private Weston community. Walk to the shopping center, swimming pool and tennis courts. Zorba's a Fun Place in Baltimore's Greek Town! The full name of this Greek town favorite is Zorba's Bar & Grill, and like many neighborhood restaurants...the bar is up front and tables grouped in the back. But with one outstanding feature — the clear glass at the back with a view into the kitchen, where Zorba's signature rotisseries are spinning over charcoal flames. Spanakopita was the best... spinach, onion, dill and feta baked in layers and topped with a crispy phyllo dough. We ordered this for an appetizer and it easily fed all four of us! Moussaka was just wonderful... layers of beef, potatoes and eggplant, topped with béchamel sauce and baked. Notice in the background the side dish of roasted potatoes and green beans. The kontosouvli... giant hunks of meat, seasoned and spit-roasted to perfection. Then hacked up and dropped into a shallow bowl -- and the presentation couldn't be more appropriate. It hits the table as a big old pile served simply with a lemon wedge. The grill is the thing to see here, and it gets its own picture window. I was the lucky one sitting and watching the constant motion of the efficient cooks. They never stopped preparing plate after delicious plate the entire time we were there. The service was outstanding. Good food, laughter, and sharing the bounty with wonderful friends made for a very delightful evening! Sally and David's tribute to this family speaks for many of us who know and love this beautiful loving family. Jamie was a lucky young man to have Missy as his mother. Lots of blogs talk about the POWER of Active Rain....the potential to learn, share ideas, promote properties, understand technology, stay on top of your real estate game....and there are all kinds of ways that agents, lenders, suppliers, title companies, lawyers and other allied professionals find different reasons to blog...to read, to share opinions and ideas. Different is what makes the world go 'round...different view points politically, religiously, socially....in every aspect of our lives, we respect the right to have another or different opinion. Last night we checked in to Facebook to find that the world had been diminished by one...one of our own has lost a loved one with the passing of Jamie Caulk, son of Missy Caulk....a veteran ...icon ....leader....teacher in Active Rain. The tears fall freely....we prayed for the best possible result...we sent the comfort and all the prayers we could say to Jamie and his family....to Missy knowing that the pain of losing a child is one of the worst one can experience in a lifetime. Active Rain means a little something different to everyone. I am saddened by the loss for Missy and her family....the burden of their grief is heavy and all of us want to make it lighter and lessen the pain. 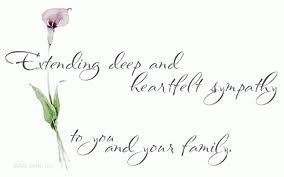 The tears flow freely as I write this....and know that the Active Rain family...in every spirit reaches out with comfort, positive thoughts and healing prayers. Active Rain is more than housing statistics....there is the Pay it Forward that has taught us all to share what we have with others who "have not". Right now it is the overwhelming feeling of wanting to do something positive for a fellow member of Active Rain as her spirit needs support in this, her hour of pain and loss....we share it...we want to make her burden lighter. I ask you to re-blog this blog... Add this sentiment to your Facebook page....to let people know that Jamie Caulk has passed...that his family welcomes your kind thoughts and prayers....and to know that Active Rain is more than the brick and mortar we talk and blog about...it is a caring community that offers a hand up and a heart out to the members of this site. For whatever higher power each of believes in....Missy and Family, Please know that you have all the support, love and outreaching of sympathy we all have to offer you at this difficult time. Take our Strength, find comfort in our compassion and know that the many memories he has left you are yours for a lifetime. Let's Have A Party!! HomeRome Style Open House On Wednesday October 26! Let's Have A Party!! Wednesday October 26, 2011 HomeRome Style Open House! Where: 9913 Middle Mill Drive, Owings Mills, MD. 21117- Weston Community. By now you know that I have Pat Kennedy's mother's home for sale in Baltimore. This beautiful single family rancher, in a condo community, is located at 9913 Middle Mill Drive Owings Mills, MD. 21117. When one ActiveRain member lists another ActiveRainer's property,that calls for another ActiveRain Party. What do you think? Will you join us? The home looks fabulous and is ready for that one perfect buyer. It just went live into the MLS and will be advertised this weekend. My response ..."OK, Pat, What are you doing Wednesday October 26th. That's the day we will have an ActiveRain Party at the house. I know you and I will be there and I know of a few more. I will make it happen!!" Listen up everyone...Mark your calendars for Wednesday October 26 1:00! We are having an ActiveRain Gathering and a HomeRome style OPEN HOUSE. Moving from the big house does not mean “downsizing”..I would rather call it “right sizing” when you need a different space but not necessarily smaller. Here is that right space with over 2000 square feet on the first level and there is also a finished lower level. Just look at these soaring cathedral and tray ceilings and an abundant amount of light. This very special contemporary home is located in Owings Mills minutes from 795 and the Owings Mills Mall. One floor living with no steps, the master suite and luxury bath plus two other bedrooms are on the first floor, along with the 2 car garage, laundry and loads of storage. It has everything you ever wanted in a home. Master bedroom with jetted tub, separate shower, two walk in closets, high ceilings and bright windows overlooking wooded views.... all on the first floor along with two other bedrooms, laundry and magnificent eat in kitchen. The third bedroom is being used as a home office/study. The spacious and easy to care for dining and living room has a door to a second deck...a beautiful place to watch the colors of the changing season. This home backs up to a beautiful nature preserve! Master bedroom with jetted tub, separate shower, two walk in closets, high ceilings and bright windows overlooking wooded views. Spacious gourmet kitchen with stainless appliances and cherry wood cabinets has granite counters and travertine marble floors. 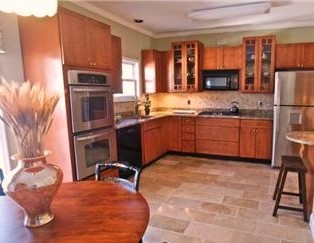 This is a cook’s dream with double ovens, a pantry and gas cook top with five burners. Sliding glass door to access the deck off the kitchen. A Rancher-A Condo- A Single Family Residence = A Forever Home! This is a home for everyone and forever. Singles, couples, families, young buyers, professionals and retirees...all can enjoy the huge one level living (over 2000') with 2 car garage, gourmet kitchen, soaring ceilings, finished lower level and the open spaces of this luxury home. When you live here, all outside maintenance is taken care of. So relax and enjoy your home. The finished lower level could be for extended family or guests. There is a large master bedroom, adjoining bath, family room, loads of storage and level access to outside! Plenty of "man cave" space. Did you notice the poker table? The Weston in Owings Mills is a gated condo community with a swimming pool, tennis courts, tot lot and is convenient to transportation, I 795 and walking distance to shopping center... including The Giant!